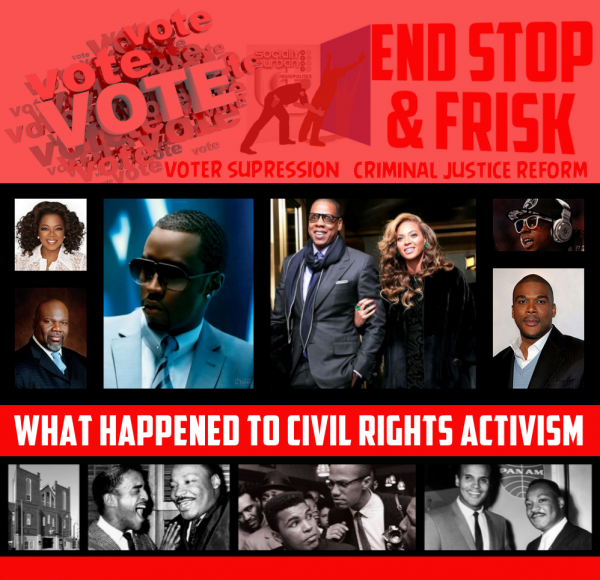 What Happened to Civil Rights Activism blog story graphic. Vote and “End Stop and Frisk” at the top. Pictures of Oprah, TD Jakes, Sean Combs, Jay Z, Beyonce, Lil Wayne, Tyler Perry, Sammy Davis Jr, Muhammad Ali, Bayard Rustin, Martin Luther King, and Harry Belafonte.